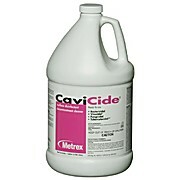 A convenient, ready-to-use, intermediate-level disinfectant. Kills TB in 3 minutes and HBV, HCV, and HIV in 2 minutes. For use on nonporous surfaces. Nontoxic and nonirritating. 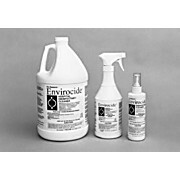 EPA registered disinfectant/cleaner kills HIV and TB. Meets OSHA regulations. Non-staining, non-corrosive formula is safe to use on all surfaces. Biodegradable. Non-aerosol. Use as an instrument pre-soak. 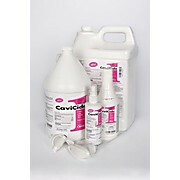 Allows for faster changeover time and decreases risks of cross contamination. 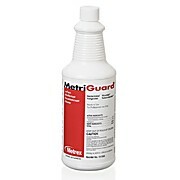 It has a 1 minute kill time and a 1 step cleaning and disinfecting. There is no dilution required.